I KNEW we had tried to cram too much into our holiday when, just two days after our return home, I sat bolt upright in bed in the middle of the night, calling out “where are we?”. Our five-week tour of Paris, England and Singapore was indeed hectic, but what a time we had. 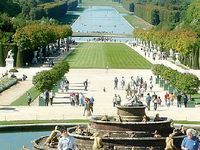 My wife Leonie and I walked the boulevards of Paris, we made it to the top of the Eiffel Tower, we dined in fine bistros and cafes and we visited the stunning Palace of Versailles. The England section of our holiday included driving around the English countryside and catching up with two of my sons and their partners who are living and working in London. On our way home, we had a two-night “shopover in Singapore”, where my wife and I enjoyed and endured, respectively, a dose of retail therapy and visited the famous Long Bar at Raffles Hotel to sample the obligatory Singapore Slings. But let’s talk about Paris. 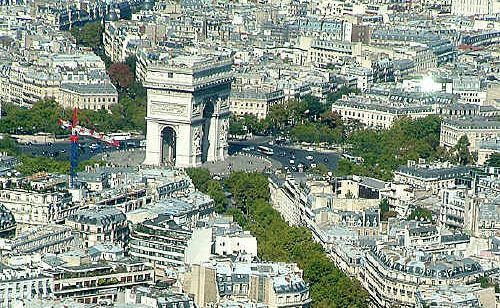 There is just something special about the City of Light, something over and above its famous landmarks and attractions, and there are plenty of those. As a rule, movies tend to stereotype and exaggerate people and places by throwing in every cliché imaginable. But Paris is like the movies: romantic sidewalk cafés, zippy Vespas, crazy drivers and impossibly stylish people are real. And yes, the locals do walk around with wine and French bread. Walking the streets of Paris, you feel like you’re in a movie. I found myself quietly singing Cole Porter’s I Love Paris or humming April in Paris or La Vie en Rose. Luckily for Leonie, I didn’t start dancing the Can Can (though with my two left feet, it would have been the Can’t Can’t). We had booked for three nights, after hours of online research, at the Hôtel de la Motte Picquet, situated between the Eiffel Tower and the Ecole Militaire. Our room was small (as most are in Paris) but the English-speaking receptionists were a mine of information and went out of their way to be helpful: check-in time was officially 1pm but when we arrived at 9am, they called the cleaners to prepare our room so we could move in immediately. Just around the corner from the hotel was Rue Cler, a delightful pedestrian precinct of restaurants, cafés, patisseries and cheese shops as well as fruit and vegetables and fish markets. Ooh lÀ lÀ. We visited Paris in 2008 and covered many of the “sights”, including the Louvre Museum, the Arc de Triomphe, Moulin Rouge, Luxembourg Gardens, Champs-Élysées and Notre Dame Cathedral, but we did not have time then to climb the Eiffel Tower or visit the Palace of Versailles on the outskirts of Paris. This trip, we set aside a day to visit Versailles and half a day to get to the top of the Eiffel Tower. And because of the massive queues at the tower, the slowness of the lifts and the magnificent views, we needed all of that time. The first thing that strikes you from the top is the absence of high-rise buildings across Paris. From above, the city is a maze of six-storey buildings, wide, tree-lined boulevards and magnificent gardens and parks. Running through the middle of this stunning vista is the beautiful River Seine and the elegant, historic bridges that cross it. 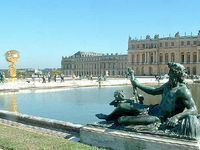 The opulent Chateau de Versailles – a 35-minute train ride from Paris – was a royal hunting lodge until Louis XIV expanded it dramatically in the 1660s. He transformed it into the seat of the royal court and government, which it remained until 1789 when Louis XVI and Marie Antoinette were forced back to Paris to face the guillotine. The 700-room palace, which housed more than 3000 people at its zenith, and the 900ha gardens are a monument to excess, indulgence and vanity – but I like it. Highlights include the state apartments, the royal chapel and the Hall of Mirrors: a magnificent long ballroom with 17 huge mirrors facing 17 windows overlooking the gardens. Photos do not do this room justice, especially when it is filled with hundreds of tourists. For a virtual tour of the Hall of Mirrors, visit www.panoramas.dk/full screen7/f30-versailles.html. When our time came to leave Paris, we hopped on the amazing Eurostar superfast train to London, via the English Channel. The Eurostar travels at up to 300km/h but it does not seem that fast until the track runs parallel to a motorway – and cars travelling at 100km/h look like they are stopped. The trip from Paris to London takes about two-and-a-half hours.